In November 2018, Marc Jacobs released the album Redux Grunge Collection. This compilation of works he did with Perry Ellis in 1993. 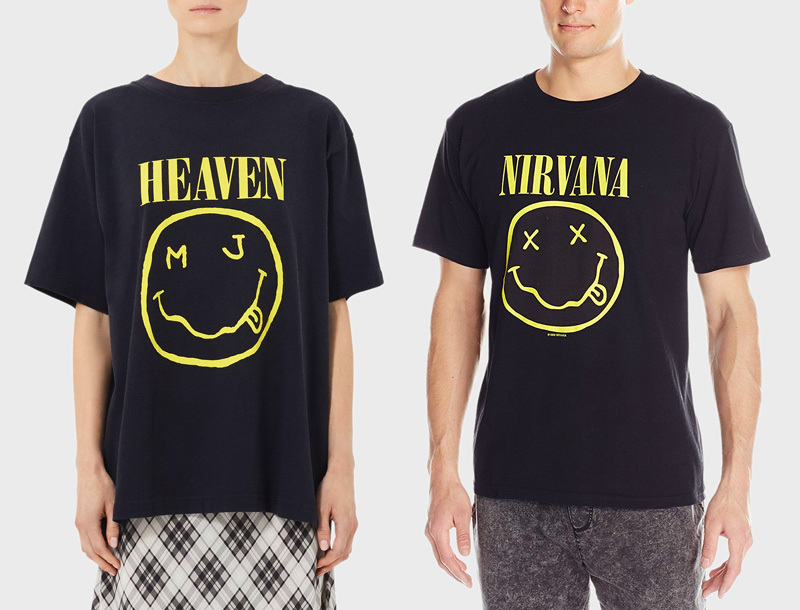 In the furtherance of this release, he has also released a $115 t-shirt that bears a striking resemblance to the Nirvana logo that Kurt Cobain created years earlier. Gee Marc, couldn’t you even change the color of the smiley face — just a little? I think Jacobs is going to end up having to write a big check to Nirvana. Click here to read the Forbes article.